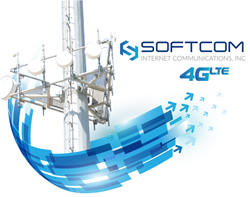 City of Galt to team with Softcom Internet Communications, Inc. for cutting-edge upgrades that are first step in transforming how the city and the community it serves connects with the world. These cutting-edge upgrades will provide city offices and facilities with significant improvements in high-speed internet access. In 2017 we installed fiber-optic cable to each suite in our office complex; this project is the next logical step forward in providing cutting-edge technology for the community we live and work in.” - Kevin Triplett, Softcom President and CEO. Softcom Internet Communications, Inc., is pleased to announce the unanimous approval by the Galt City Council for Softcom to provide the City of Galt government with high-speed Internet access delivered by fiber-optic cable which will provide nearly every city facility with significant improvements in their Internet access. Fiber-optic cable is the industry standard for providing the fastest and most reliable Internet connection across the last mile — the section of the network connected to homes and businesses. Fiber provides the highest possible Internet speeds and data capacity, without having to rebuild new networks in the future once initial cable has been installed. The project, planned to start in the next few weeks and be finished by the end of summer, involves the installation of fiber-optic cable on Industrial Drive leading from Softcom’s headquarters to the municipal service center. Benefits of this project extend well beyond improving the speed and reliability of internet connectivity to the City of Galt. The new system will be supported by a company headquartered in Galt, literally just down the street, as well as boosting Galt’s economy by using local contractors and workers to get the job done. In addition, Softcom plans to use this project as a stepping stone to be able to build out its own fiber-optic network throughout the City of Galt, allowing residents and businesses to have the fastest internet access available for the foreseeable future. Softcom Internet Communications, Inc. believes that everyone deserves fast, reliable internet service no matter where they live or work. Focused on giving rural internet customers the fast connections, exceptional customer service, and simple, affordable pricing they deserve, Softcom brings more than 80 years of industry experience, an established infrastructure, and cutting-edge technology to stand behind their vision. 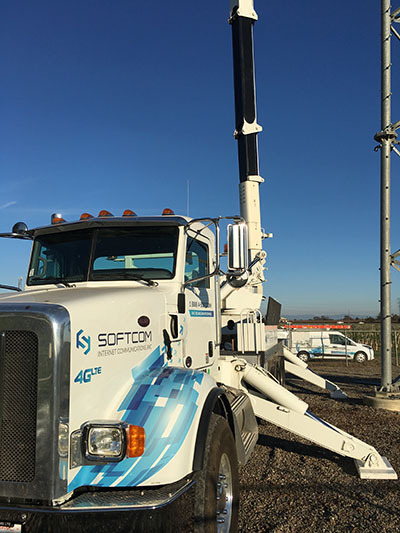 Recognized by the U.S. government as a leader in the industry, Softcom is successfully bridging the gap between rural communities and large cities when it comes to High-Speed Internet access. Learn more at http://www.softcom.net.